Are you ready for a new sensational challenge? Come experience flyboarding at Moeke Mooren. Safely reach for the skies! Or at least as high as you dare to go. Fly around where you want to go and feel the power of having control over it. Make breath-taking dives and feel the adrenaline rushing through your body when you fly up to about 13 meters above the water! Experience what it’s like to fly over the water like a superhero or as a dolphin diving through the water. In cooperation with Xtreme Marine Sports we offer this fantastic outing. Do you dare? Fly through the air and feel the power of the water pulling you up. 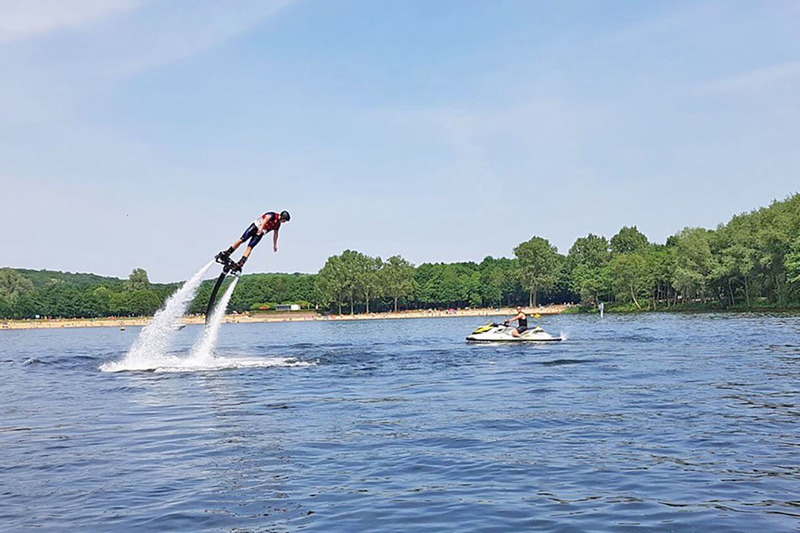 Flyboarding is a water sport where the athlete can travel high above and below the water by means of two powerful water jets, generated by a jet ski. The flyboard has two nozzles are mounted at the bottom and are connected to the jet ski via a hose. 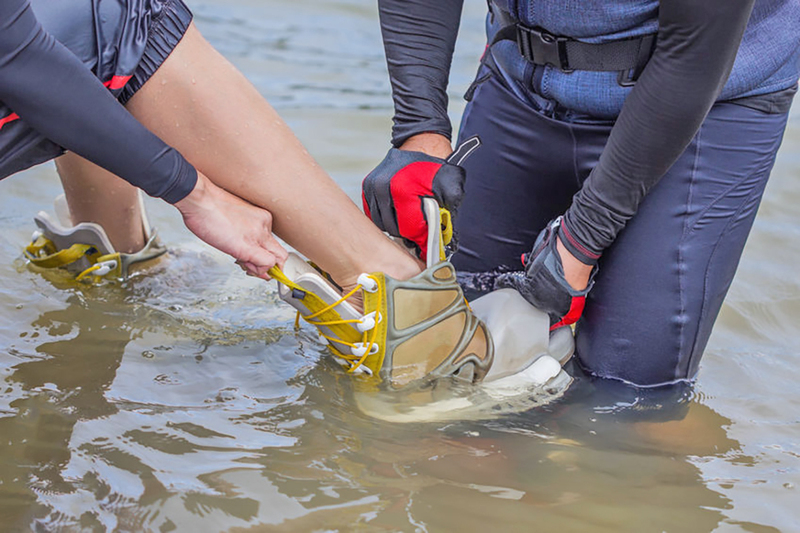 Do you really enjoy spending time on the water and water sports? Then a whole world will open up for you with flyboarding. All you need is a short introduction and a life jacket. 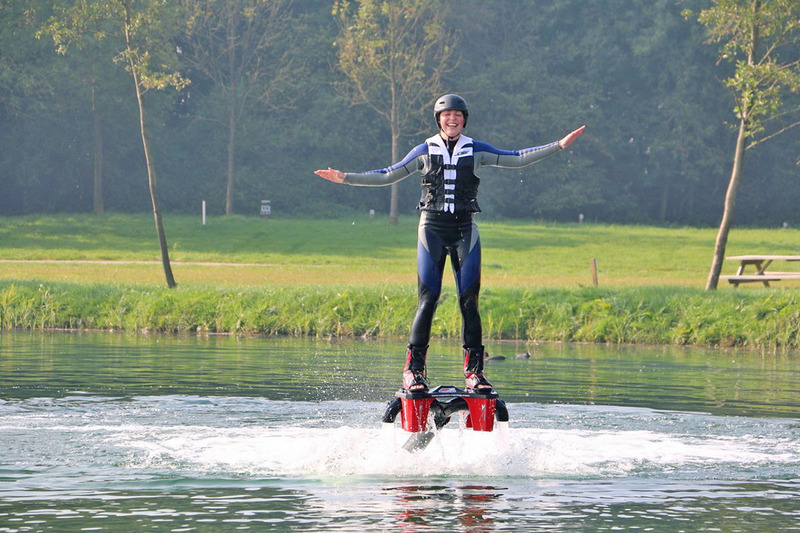 Combine your flyboard experience with Dutch-style table grills(gourmetten) for an unforgettable day out. Fly into the air on hydropower and for a moment become a superhero ! Feel the adrenaline rushing through your body. After flyboarding, you can have a delicious meal around the table grill with family, friends and colleagues. Proceed the fun times by grabbing a drink on our terrace or at our bar. This flyboard package guarantees a fun day out. Experience the adrenaline rush of unique water sports. Dive into the water like a dolphin or try to get as high as you dare above it, flying like a superhero. The Flyboard Experience at Moeke Mooren is provided by Xtreme Marine Sports . The day can not go wrong after a ride in a tuk tuk. Discover Maas en Waal region in this unique means of transport. A fun activity for all ages.